This manufacturer photo shows what the device looks like. Ours will also feature the CMN Hospitals balloon icon sticker! 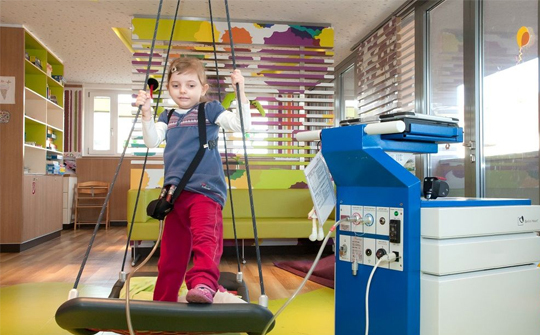 Earlier this month, $220,000 of CMN donations were used to purchase two new Berlin IKUS Drivers. This is the blue and grey computer system that runs the Berlin Hearts, medical devices that mechanically support the hearts of patients with end-stage heart failure. They are implanted in our pediatric patients who require this device while waiting for a heart transplant. Each of these units cost $110,000. A little interesting information: UF Health Shands Children’s Hospital owns three of these Berlin Drivers, but the number of patients requiring the device has increased over the last couple of years. The hospital was renting another two drivers, which cost around $300,000 a year. So, it was best that the hospital purchase two new drivers. That’s where CMN funds came in. This is the first time funds from CMN Hospitals have been used to purchase equipment to support the Berlin Heart.